Governor Gavin Newsom announced the proposal during a "State of the State" address, reasoning that people should share in money that technology firms make off of what they know about users. 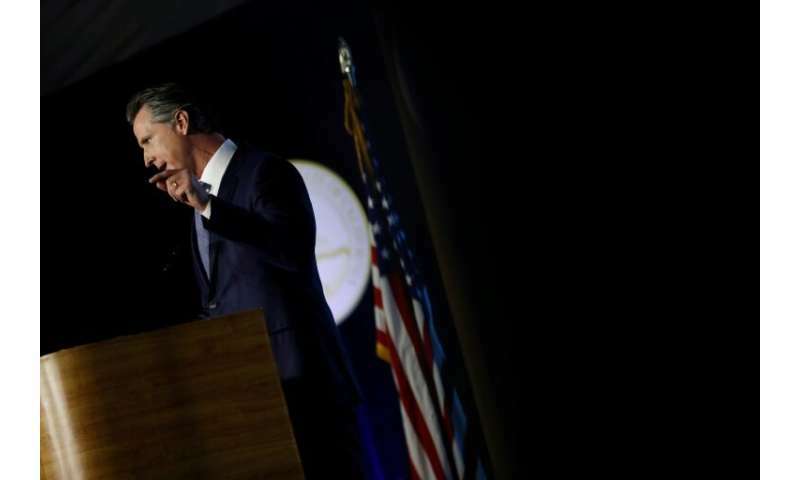 "Consumers have a right to know and control how their data is being used," Newsom said, referring to state privacy legislation passed last year. "But California's consumers should also be able to share in the wealth that is created from their data." Silicon Valley-based Google and Facebook dominate the multi-billion dollar global online digital advertising market, using what they learn about users to target advertisements that might be of interest. The practice has fueled debate about whether people have, in a way, been turned into products by internet companies whose paying customers are advertisers. Concerns have also risen regarding whether the privacy of users is being sufficiently protected. "California is proud to be home to technology companies determined to change the world," Newsom said. The move comes with technology giants under pressure from regulators around the world to disclose more about their data collection and give users better control over personal information. "But companies that make billions of dollars collecting, curating and monetizing our personal data have a duty to protect it." Newsom shared little detail about his proposal, saying he had asked members of his team to work on it because "we recognize that your data has value and it belongs to you."